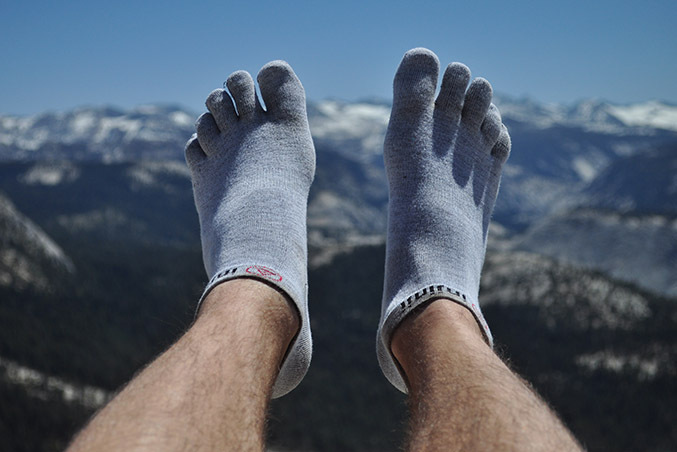 The Injinji Mini Crew Socks on top of Half Dome, in Yosemite National Park, in 2012. Look beyond their cute appearance and boutique-y prices, and you'll find a high performance sock worth their weight in titanium when it comes to preventing toe blisters. Paxson: "Despite their suspiciously adorable five-toed design, the Injinji Lightweight Mini Crew sock is a piece of gear that solves, completely, that most infuriating of long distance backpacking annoyances: beetween-the-toes blisters. As I've written elsewhere, the best thing you can do to prevent blisters is to wear two pairs of socks, one of which should be a very thin, well-fitting liner sock. This will cause the friction and movement in your shoe to occur between two layers of socks, rather than between a single sock and your foot. Tradiditional liner socks, however, can't prevent rubbing between your toes. Enter the Injinji Lightweight Mini Crew socks. Though they aren't as a thin as a traditional backpacking liner sock, they are nonetheless light enough to wear as a liner, and immediatley eliminate friction between your toes. 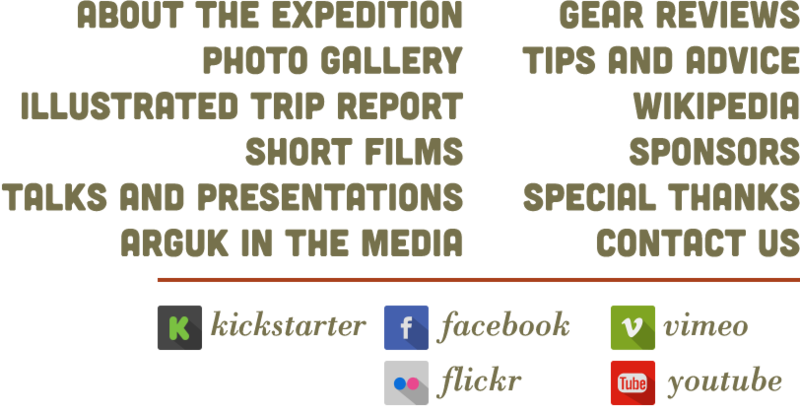 During Expedition Arguk we put in long backpacking days over rough, uneven terrain with wet or damp feet for a week straight. As soon as I felt hot spots between my toes I switched out my normal liner socks for Injinjis (or even wore the Injinjis inside of my liners), which provided instant relief and allowed me to continue hiking blissfully blister-free. They're also great as a standalone sock in warm or hot weather with lighter shoes. The Lightweight Mini Crew Socks are the lightest sock that Injinji currently makes. Because they are so thin, and because the five-toed design means they have more stress points than traditional socks, they need to be treated gently when putting them on or taking them off, especially if you have rough calluses. They will also shrink down to baby-sock size if you dry them in a dryer with your other clothes (though they happily stretch back out to normal size again) so you may want to let them air dry. The other downside to these socks, of course, is that they're expensive, at around $10 a pair. But hike with toe blisters just once or twice and you'll understand how small a price that is to pay for instant--and adorable--relief. tl/dr: If you're ever dogged by those wretched between-the-toe blisters, these are the socks for you."